COP21 in Paris was an historic landmark for the fight against climate change, uniting 196 nations under a long-term goal to keep the rise in global temperatures at 1.5°C by 2100. However, many cities made their own commitments as well. Over 400 cities have joined the Compact of Mayors in a pledge to reduce emissions. A recent analysis of 360 cities by WRI found that signatories to the Compact can collectively reduce their emissions by nearly 17 percent below 2010 levels by 2030. The Compact of Mayors was launched in 2014 by UN Secretary-General Ban Ki-moon, along with Michael Bloomberg, ICLEI, C40, UCLG and UN-Habitat. By joining the Compact, cities commit to measure their emissions, set targets for reduction and create plans to track progress. WRI is an endorsing partner of the Compact and supports the initiative, as it provides a standardized methodology for data collection and serves as the basis for action plans. By focusing on the local context, the Compact aims to create global climate action from the ground up. 459 cities around the world have committed to the Compact. From February 24-25, 2016 decision makers, specialists, and city leaders from across Brazil gathered in Fortaleza for Brazil's 2nd Conference on Cities and Climate Change to discuss the Paris Agreement, the Compact and the role of Brazilian cities in climate action. The event was organized by ICLEI with the support of WRI Brasil Sustainable Cities. Holger Dalkmann, Director of Strategy and Global Policy and EMBARQ Director of WRI Ross Center for Sustainable Cities, moderated a session “City-level commitments," which included speakers Nelson Franco, Executive Secretary of CB27, Rogério Menezes, President of ANAMA and Lie Shitara Schutzer, Program Coordinator of Município Verde Azul of the State of São Paulo. "Climate change starts in cities, but it goes beyond them. Cities need collaboration between the public and private sectors and civil society. We returned from Paris with a strong agreement—city leaders now have the opportunity to take action in order to improve quality of life in cities and reduce GHG emissions", said Dalkmann. In the Latin American context, Buenos Aires and Quito are two Latin American cities that have signed on and are taking action to support their national governments. In October, the capital of Ecuador will host Habitat III, the United Nations Conference on Housing and Sustainable Urban Development. In line with the conference’s main objective of securing renewed political commitment for sustainable urban development, the city will begin to put into practice its Climate Action Plan. Similarly, Buenos Aires is an example of a city focusing on integrated planning and has stablished a bold goal of reducing emissions by 650,000 tons per year. In Brazil, 35 cities have signed on to the Compact. A common feature among Brazilian cities is that about 70 percent of GHG emissions come from transport. With the launch of the National Policy on Urban Mobility in 2012, cities have begun to take action by developing local urban mobility plans. The Compact of Mayors offers the additional support and opportunity for emissions reductions. However, only two Brazilian cities have completed all 4 phases of the Compact and have received the “Compliant” badge: Belo Horizonte and Rio de Janeiro. Belo Horizonte, the capital of the state of Minas Gerais, produces more than 4 million tons of GHG emissions every year, with 71 percent coming from the transport sector. On the other hand, Rio de Janeiro produces more than 15 million tons per year, with 51 percent generated by buildings sector. Both cities are poised to make significant progress as members of the Compact. "Although close, our Latin American countries do not exercise this kind of integration [provided by Compact of Mayors], but it is only by working together that we will succeed. We seek a union with CB27 [the Brazilian Cities Coalition for Environmental Management] and, at a city scale, it is possible with initiatives such as the Compact of Mayors", said Nelson Franco. 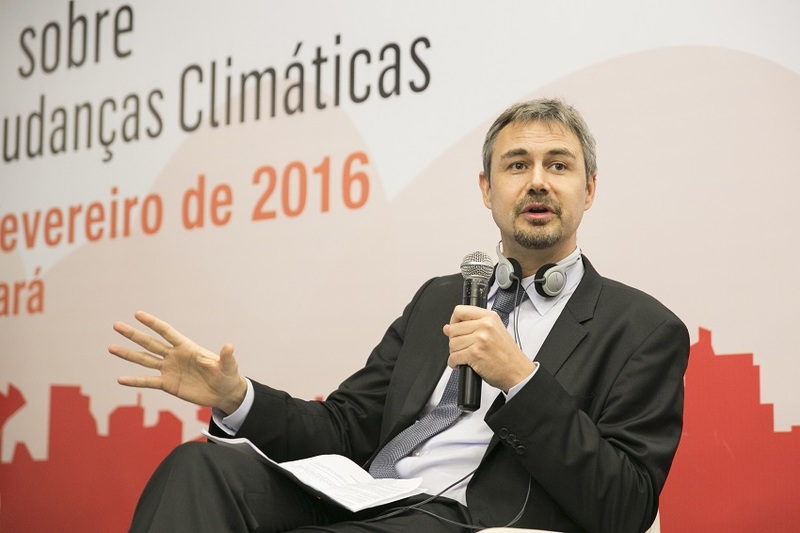 Besides the CB27, Franco is the Climate Change Manager of Rio de Janeiro, which is currently developing its adaptation plan. To learn more about the Compact of Mayors, click here.